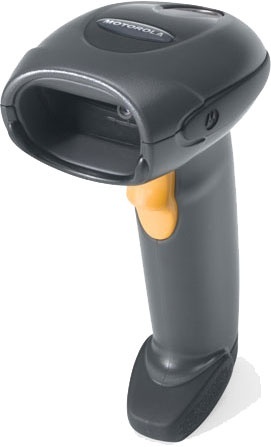 Using the Zebra imager DS4208, users capture 1D and 2D bar codes with a speed and performance that usually only laser scanners are able to achieve. Even from monitor, smartphone and other displays, particularly small bar codes are scanned at high rates. A wide variety of offers, coupons and customer loyalty activities are being increasingly carried out via iPhone or mobile phones. Nowadays, we can hardly imagine the commercial and logistics or, in particular, service and passenger transportation sectors without these paperless functions anymore. The attractive housing design and its handy format make the DS4208 very ergonomic to use. The optional IntelliStand for hands-free scanning applications ensures additional comfort with the auto-scan mode. The device features a multi-interface for easy integration into USB, RS232 or keyboard wedge applications and additional connection options for different POS and data processing systems. A number of upgrade and programming options ensure that the imager can be adjusted to future requirements, such as new bar code and interface types without any difficulties. These functions make this scanner a highly secure investment for you.